Home > Funding > What is Business Banking? Business banking is different from personal banking in that all of your company's financial requirements such as money transfers, BACS payments, salary payments, overdrafts etc are all looked after - or can be looked after - by a dedicated banking advisor. In addition as a business banking customer your company will have access to a variety of different products that are not available to the domestic banking customer. With Business Banking facilities you and your company have the freedom - and the peace of mind - to pay employees and suppliers on set dates and in a variety of different ways. You can choose to pay your employees by BACS (Banks Automated Credit System) which involves sending payments to your employees accounts a set number of days in advance so that they reach their accounts on a set date - or you can pay them yourself over the Internet using a money transfer system. This system can also be used for paying invoices to suppliers. Both of these systems can be tied into your existing accounting software systems so that your bank and company accounts are synchronised which helps to avoid cash flow issues. Business Banking also allows for the use of a company credit card - subject to status and availability - which can be useful for business trips. And your company may also be eligible for an overdraft facility which - just like the overdraft facility on a domestic account can be used in emergency situations. Business banking also provides your company with the flexibility to move money between accounts at the touch of a button. Your company may also be eligible for a business loan which can be used for the purchase of office equipment, stock, materials or start-up costs. These loans can be paid back over an extended period of time with lower interest rates and the option to top up if necessary. Can I Use Business Banking? Anyone with a business is eligible for business banking but the final decision is with the bank you apply to for the facility. Your bank of choice will take varying factors into consideration before making its final decision. If you are a new company then it is necessary - or may be necessary - for you to provide your bank of choice with a detailed business plan or financial forecast. If you are an existing company then you will be required to provide proof of how you have managed your accounts and bank accounts. Your chosen bank may wish to communicate with your current bank in order to assess your credit limit, your risk and also if there any outstanding debts which may pose a problem. You should remember that if the unthinkable happens and your company does not succeed then you are liable to pay any outstanding amounts to the Inland Revenue and your bank before any of your other creditors are paid. If you are a limited company then it will be required that at least two directors are named on all banking documentation; likewise if any loans are secured against business or domestic property, those people listed as the owners should be made known to your bank. 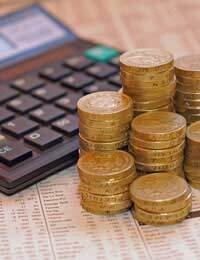 If you wish to know more about Business Banking you can visit any of the various high street banks who will have a dedicated business advisor to help you. Similarly these high street banks all have websites where you can find all the information you might need. If you are still unsure it is best to consult a financial advisor or accountant before making any decisions.